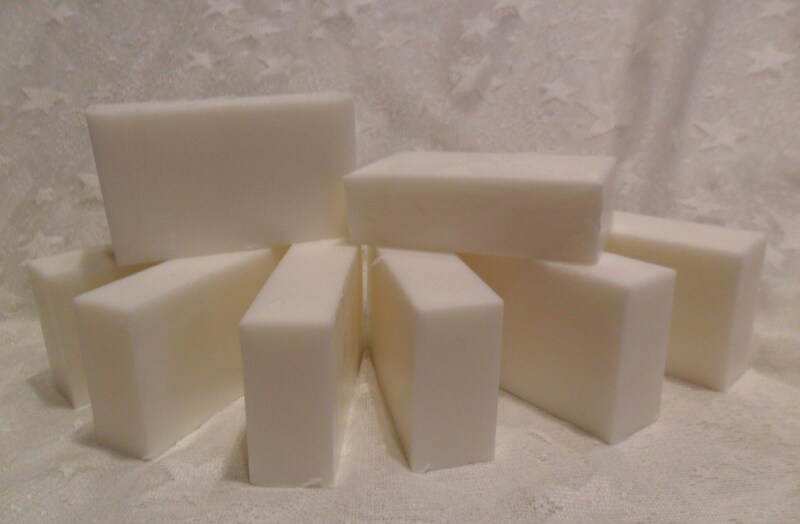 Magnolia Soap Loaf 2 Lb. Moisturizing bar made with Glycerin, Shea Butter, Exotic Oil, Vitamin E, Grapefruit Seed Extract and Herbal Extracts. Scented with a beautiful floral Magnolia. Magnolia is a heavy floral so this loaf is made with a smaller amount of fragrance oil than normally used. If you want it heavily scented than please leave note in order.